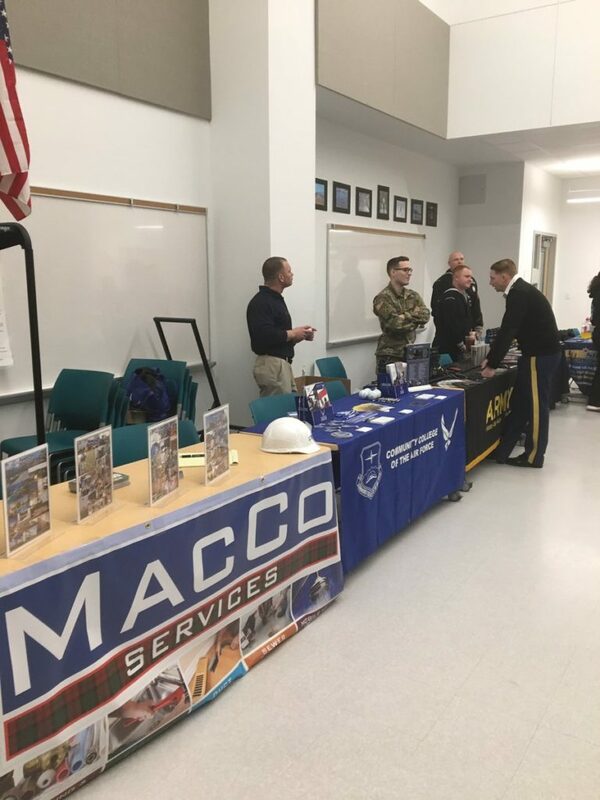 Dan is at Lunenburg High School today, where he’s representing MacCo Services as part of LHS student Shannon Manuel’s senior year “Community Service Learning” class project. 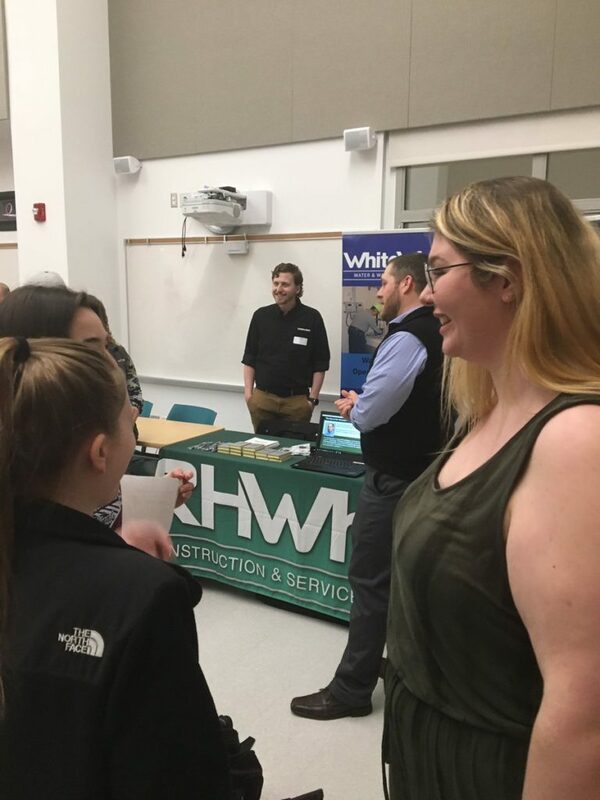 Shannon (pictured in the first photo wearing green) chose to organize and deliver a two-day job fair for her peers to attend during their lunch hours. 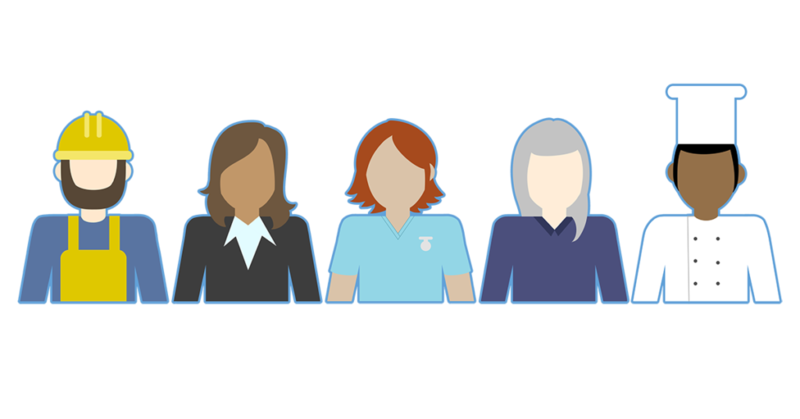 Its goal is to provide information on the many career paths that can be taken after high school, aside from attending college. 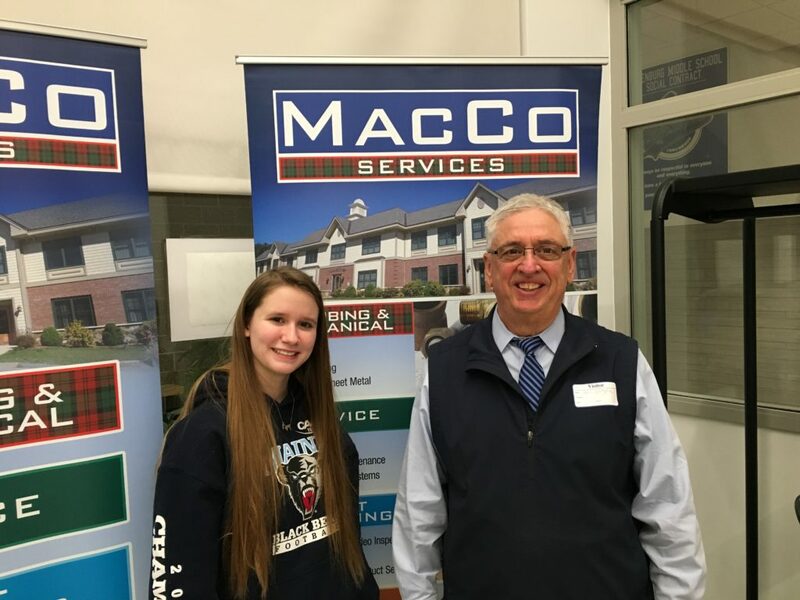 At the MacCo booth, Dan is pictured posing with Jolene, a senior at LHS attending the job fair, who is also the daughter of one of our office employees!